Clairy is Head of Global Customer Insights and Analytics in Zurich Insurance. She is responsible to transform Zurich to a customer-centric organisation by defining and setting up a global customer metrics framework, customer journey analytics and customer metrics-driven initiative design and implementation. She has an in-depth knowledge and expertise in the financial services industry as well as in the deployment of customer and digital tools to achieve business/financial impact and growth. 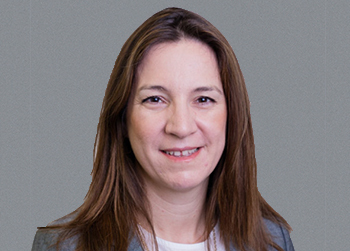 Clairy is a strategy, turnaround and transformation expert with 20 years working experience in different countries, companies and cultural environments. Before joining Zurich, she has led the Retail Banking transformation program of Eurobank as well as many strategic initiatives including transactions and business planning and has also worked for McKinsey.